Very many congratulations on your recent election. The combination of a strong candidate pool which offered real choice to voters, the warm weather and (in some areas) other local elections have afforded you and the current cohort of PCCs a significantly enhanced democratic mandate than previously – and, quite likely, increased public scrutiny. 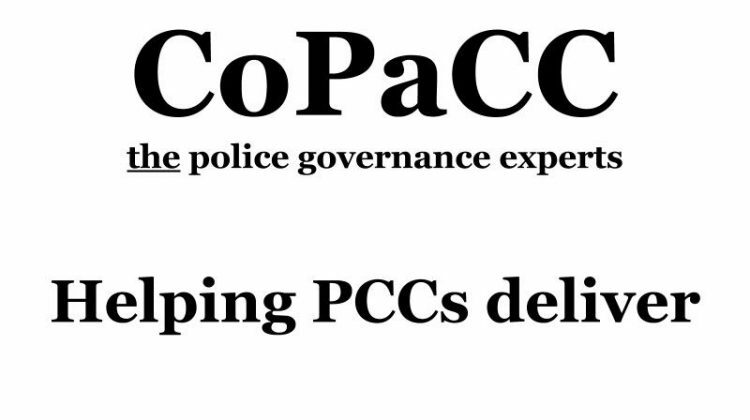 Over the next four years, as the demands on you and your office become more intense through an ever increasing portfolio and a tight budget, I believe that you and your OPCC team will find benefit from the expert information available to you through CoPaCC’s magazine website, www.PolicingInsight.com. Should your OPCC and force not already subscribe, I or a CoPaCC colleague would be pleased to provide you and your team with more information. Additionally, I wanted to inform you of the launch of CoPaCC Advisory, an independent service where you can find the best advice and support to help tackle the considerable challenges in delivering your Police and Crime Plan and making a real difference to your communities. OPCC Health Check: a short ‘deep dive’ to identify indicative strengths and weaknesses of current position and to determine the merit of further detailed investigation. For example this could look at the current OPCC structure, or consider the options and proposals in place for collaboration, or could take the form of a gateway review to ascertain whether the costs and benefits of previous programmes have derived the outcomes stated. Specialist Support: from time to time you may experience staffing shortages, or you may need to bring in expertise in a particular subject area that does not currently exist within your OPCC. Our network of contacts allows you to tap into this expertise on an ongoing basis, without the associated expense of recruiting or seconding in staff. Advice and Guidance: we are pleased that a number of PCCs from across the political spectrum who chose not to stand for re-election have agreed to join our team. The CoPaCC team also includes former OPCC staff (including Chief Executives), senior police officers and relevant others. Together, we are the police governance experts. At CoPaCC we actively develop relationships with partners who strive to be the best in class, and are committed to supporting you, your team and key national bodies (such as APCC and APACE) in delivering your ambitions. We stand ready to help however we can, and would be very happy to speak at any time, on the phone or in person, with you or with any member of your team. In the meantime, very best wishes to you and to your team for a successful term of office.